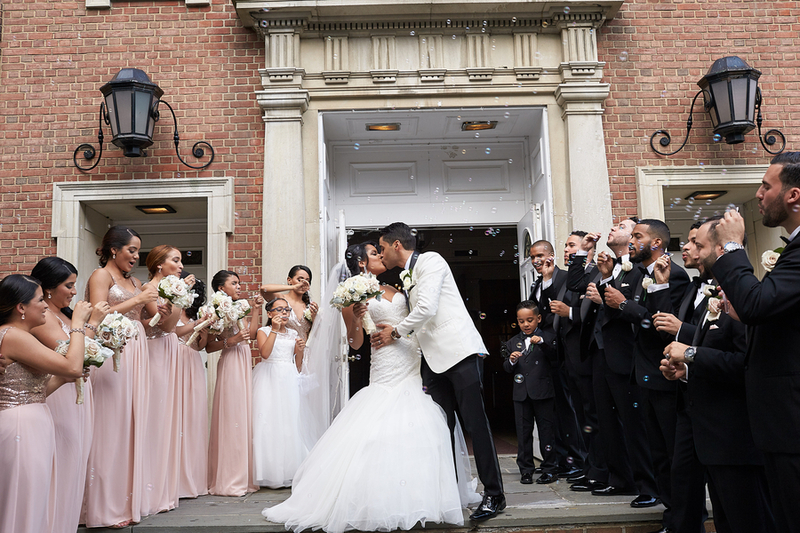 We’re so enamored by Alinna and Enny’s New York wedding! 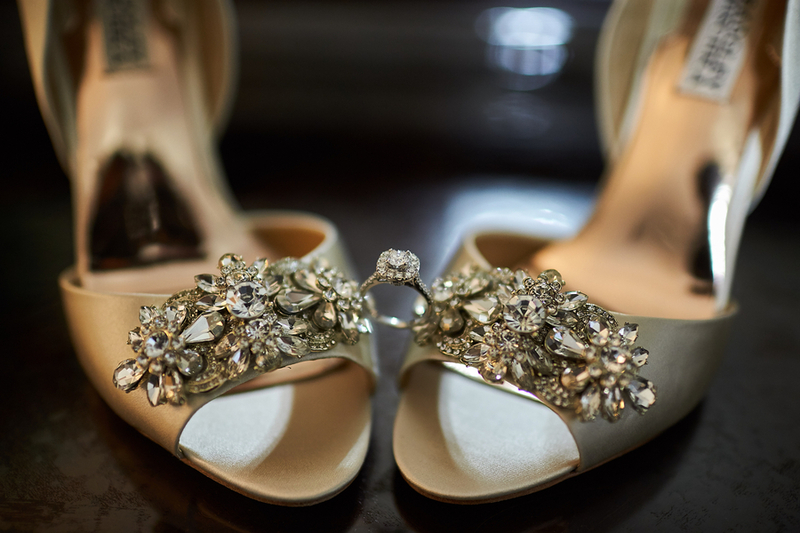 The two perfectly married classic with modern, which will stand the test of time. As far as the inspiration? Alinna came up with the idea when they were visiting Surf Club on the Sound. 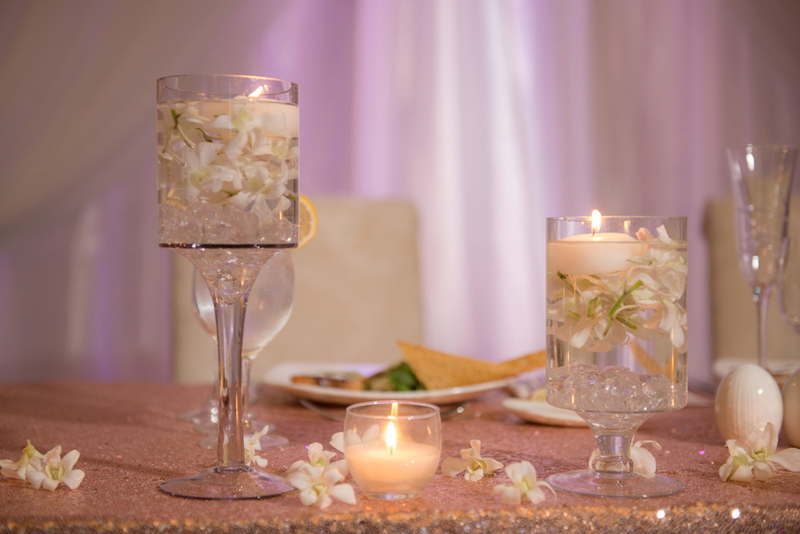 “I remember sitting there and being offering a pink champagne glass and it just clicked!” And just like that, wedding magic came to life through a color palette of rose gold, blush, and gold accents. 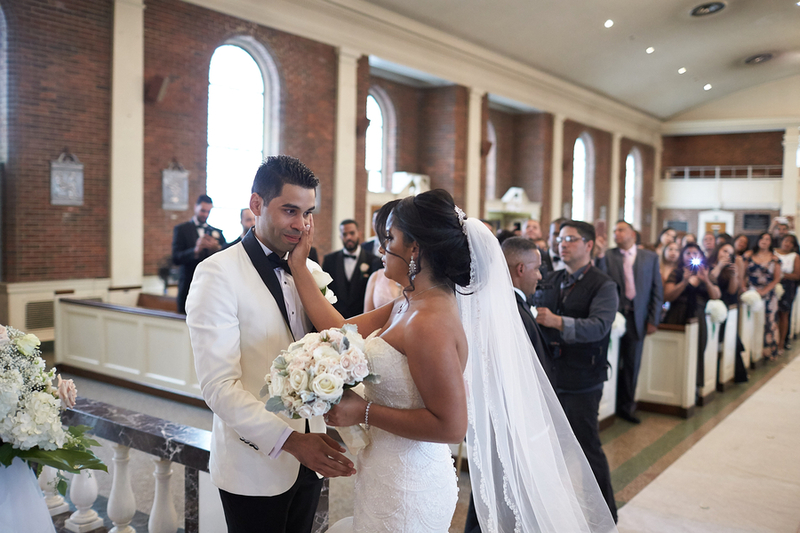 True Love Wedding captured all the pretty details from the couple’s flawless wedding day styles to the gorgeous florals from Arcadia Floral Company and love filled moments. See it all below! 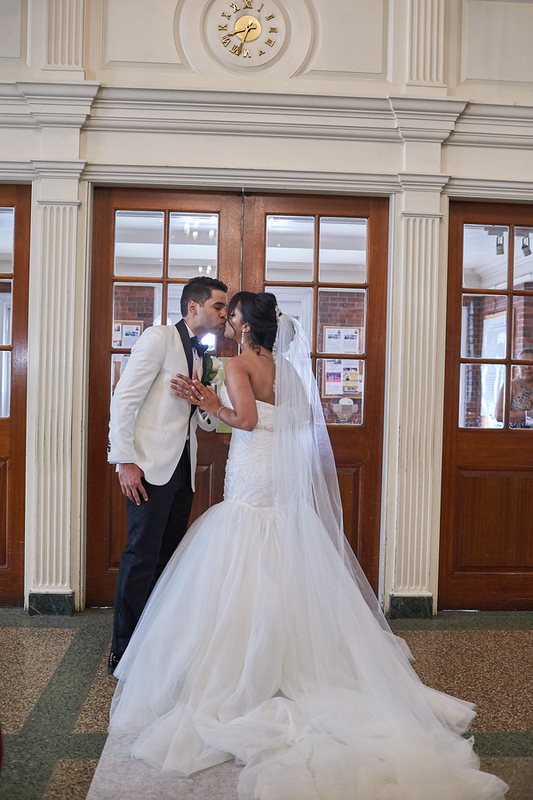 From the bride…Enny and I first met in the halls of their school their senior year of College. I was floored when she first laid eyes on the boy with the golden smile and knew she had to speak to him. She devised a plan and asked her friend to get the details for her. Little did she know the boy with the golden smile had also taken notice in her. One day she asked him for his instagram and he asked her for her number. And after a few nights of long talks and messaging Enny decided to ask me up to the Schools rooftop and asked me to be his girlfriend while watching the beautiful New York Skyline below. Our engagement was a major surprise I did not see it coming at all. Enny disguised our engagement as an early birthday dinner. He made reservations at the iconic Rainbow Room and we had the most wonderful time. We later went up to the rooftop which is top of the rock in the same building. Enny was trying to find a photographer which at the time I should of caught on but I was still clueless. We then asked someone to take a photo with his phone. He asked me to photobomb him and I thought he was just being silly. When it was his turn to photobomb me I had no idea that was on one knee behind me. It was the most special moment I could describe and feeling. 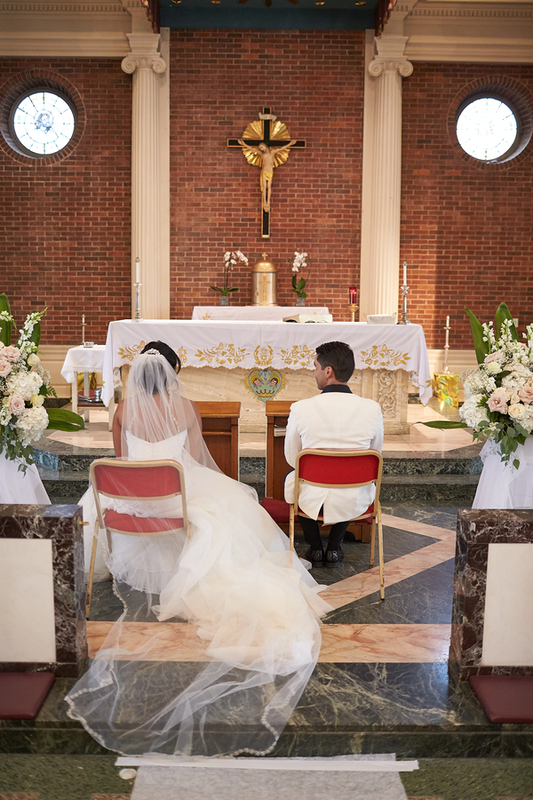 For us it was important to have our wedding in the catholic church. 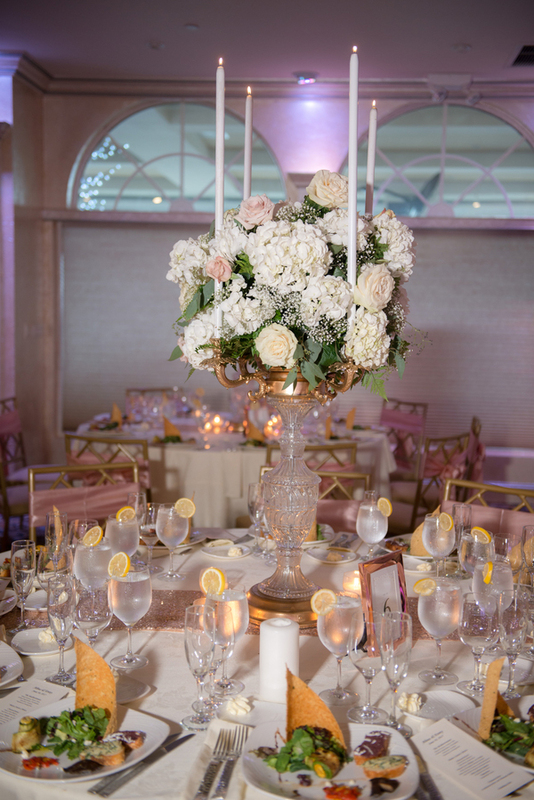 The inspiration behind our wedding day was elegant, glam and classic. 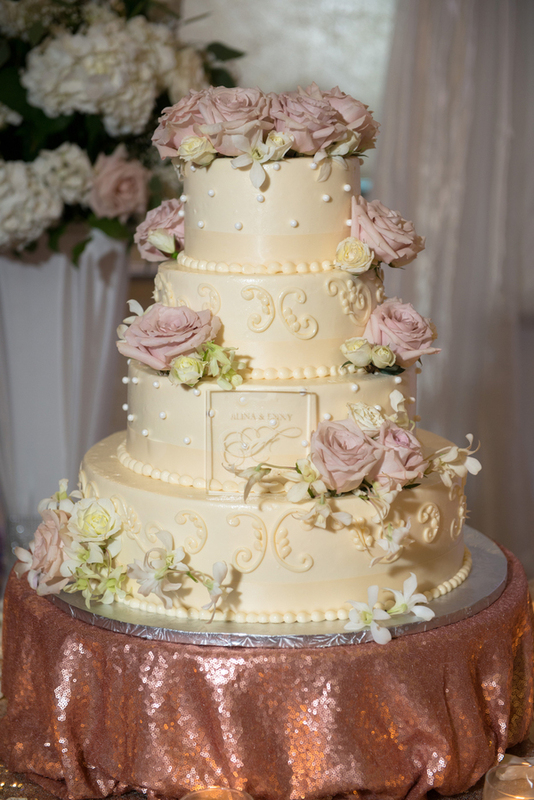 I got the idea from our venue. I remember sitting there and being offered a pink champagne glass and it just clicked. 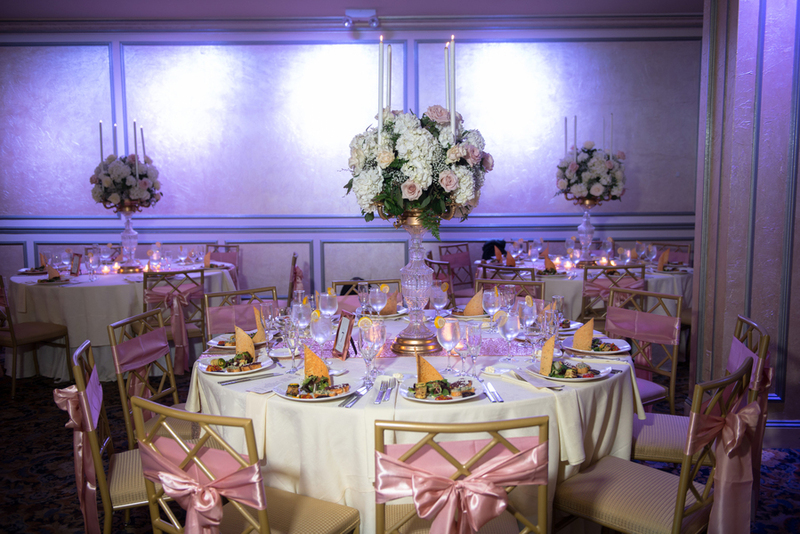 The venue had lots of gold accents and I started working with the gold and rose gold ideas that I could come up with. 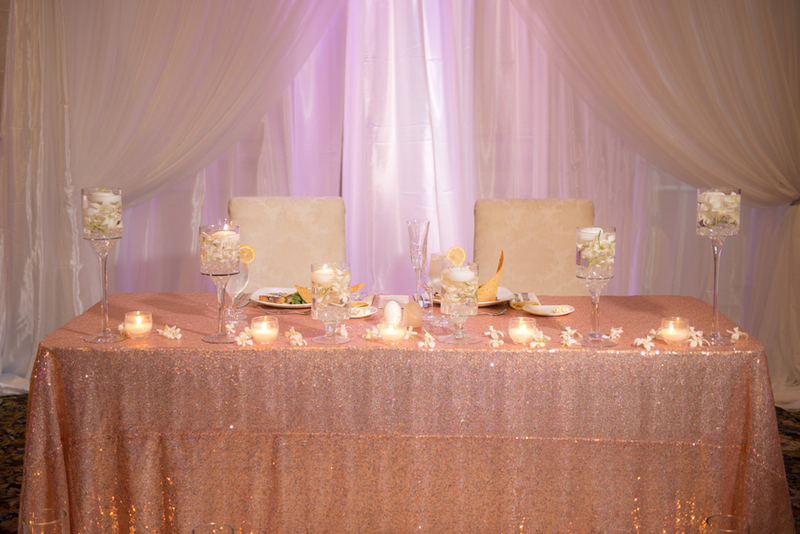 Our wedding look was chosen by the rose gold , gold and dusty pinks inspiration we chose for the decor in our venue. 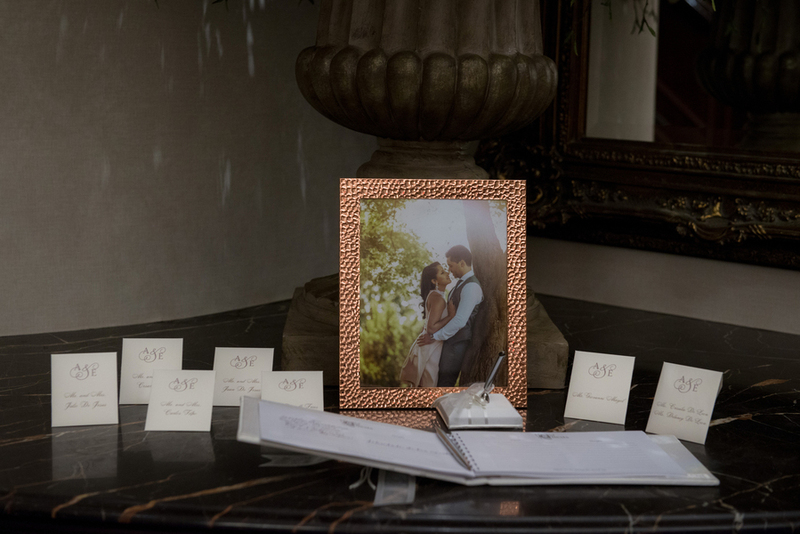 The bridesmaids wore dusty pink and rose gold dresses and the groomsmen wore the classic black tuxedos. 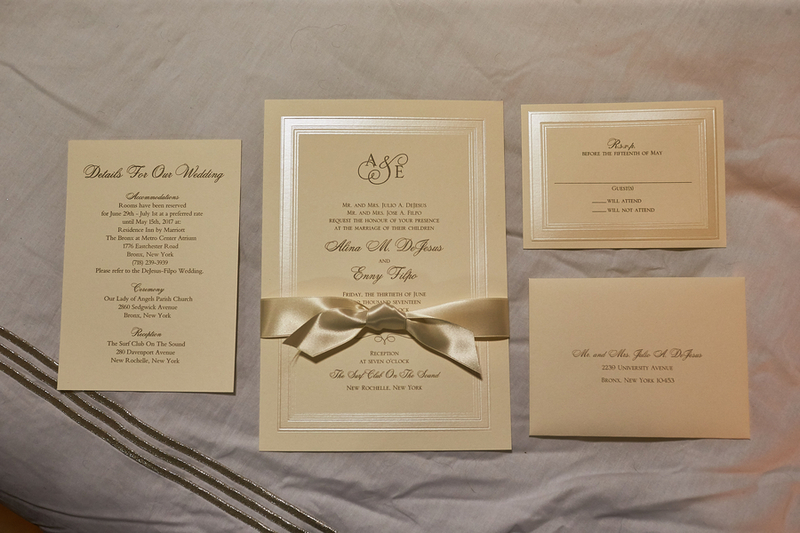 We wanted our look to have the modern edge with the rose gold as well as a classic look with the black tuxedos. 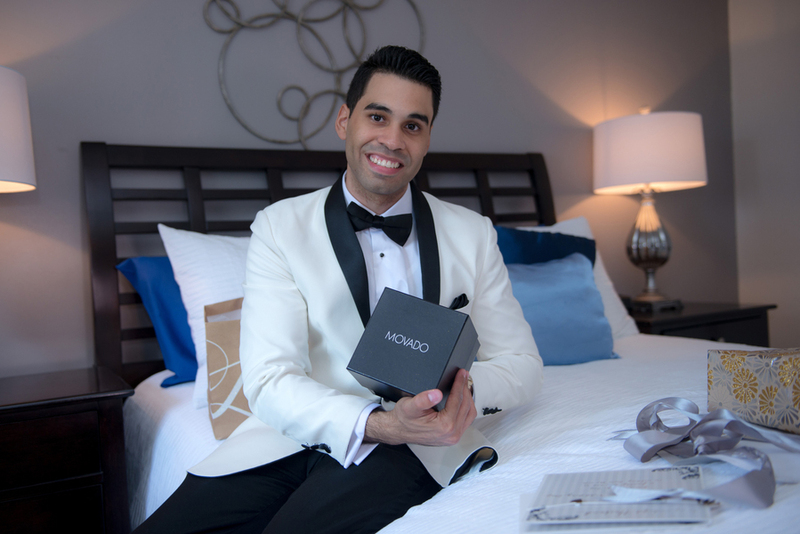 The Groom wore an ivory coat and black tuxedo pants with a black bowtie. His look was inspired by different combinations we looked at with the colors we chose. The bridal look included essense of australias gown D2029 which was a beautiful mermaid gown with pearl details on the corset. 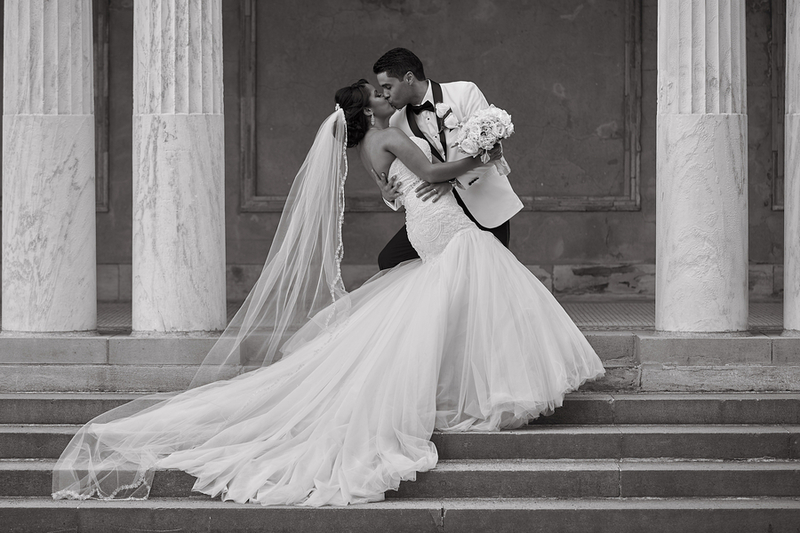 the veil was a cathedral veil with pearl accents to go with our catholic wedding, and the shoes were badgley Mischka shoes with crystal accents to match the dress and veil. 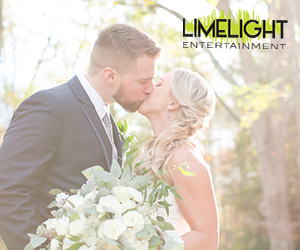 One of my favorite parts of our wedding day was our entertainment. It was very important to have our entertainment be bilingual and they really delivered. Not only did they keep the dance floor moving all night long but they also prepared a music montage for my husband to surprise me with a dance with his groomsmen which was probably one of the best highlights of our night. The second highlight for us was our photography team. They were so amazing from beginning to end. Our main photographer did such a good job keeping us calm throughout the day that I am forever grateful to him. Reception Location: Surf Club on the Sound / Photographer and Cinematographer: True Love Wedding / Music and Entertainment: DJ Serg Entertainment / Floral Designer: Arcadia Floral Company / Limousine Service: Top Class Limo / Bridal Salon: RK Bridal Wedding / Gown Designer: Essense of Australia / Wedding Shoes: Badgley Mischka / Jeweler: Kay Jewelers / Wedding Day Jewelry: Swarovski / Menswear: Tuxedo by Giovanni / Hair Stylist and Makeup Artist: Clarissa Reyes / Invitations: Paper Etc.